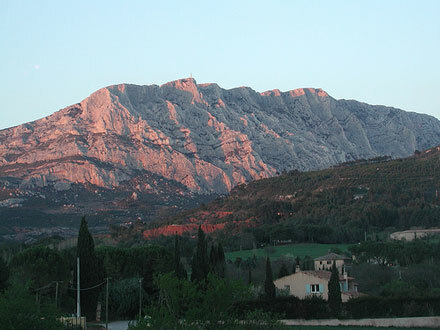 Provencal mountain made famous as a repeated motif in the paintings of Paul Cézanne. 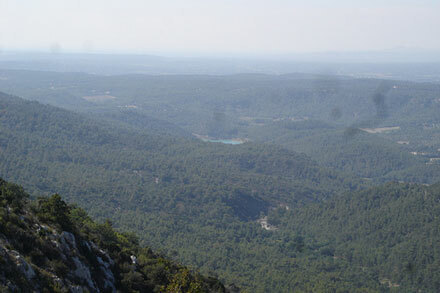 A toughish slog to gain spectacular views from the top over the lavender fields of Provence and northwards to the Alps. 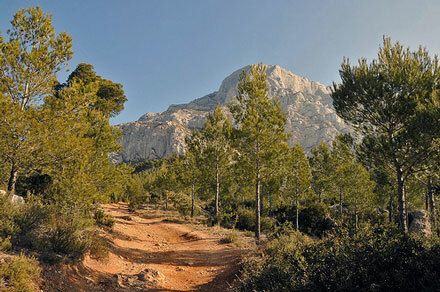 There are 250km of footpaths, from half-day to two-day walks, across and about this 18km by 5km protected massif. 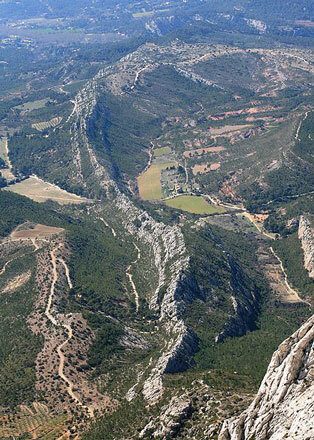 The Montagne Ste Victoire is a breathtakingly charismatic limestone massif, 1000m high, that rears suddenly from the vineyards and lavender fields of rural Provence, South-eastern France. 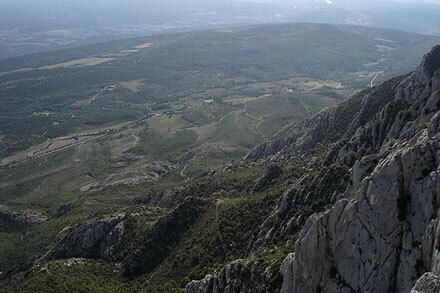 Although alpine in nature, and affording great views of them, it is cut off from the Alps by the Rhone river. 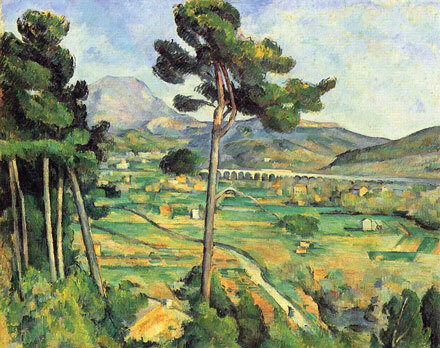 The mountain is best known as a repeated motif in the work of the great post-impressionist painter, Paul Cézanne, who painted it more than fifty times, but has provided inspiration for the likes of Kandinsky and Picasso (who lived nearby between 1959 and 1962). 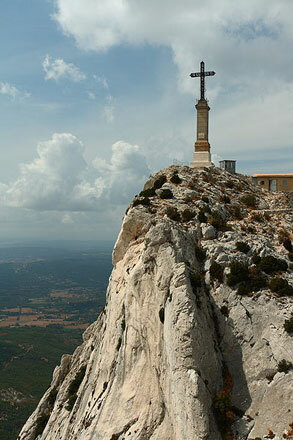 Topped by a simple cross above a chapel, the mountain affords spectacular views across the rolling farmland of Provence, and north to the peaks of the southern Alps. 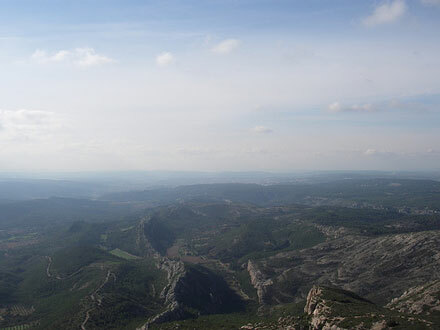 There are many routes across the massif, from a four-hour round trip to a segment of the Grande Randonnee (GR) 9 long-distance route which runs the full 17km of its length, but all involve a sharp 1 -2 hour uphill puff. The general guide-books listed in our books section would be a good starting-point for seeking out some of Cezannes viewpoints. We would welcome any ideas about finding these. 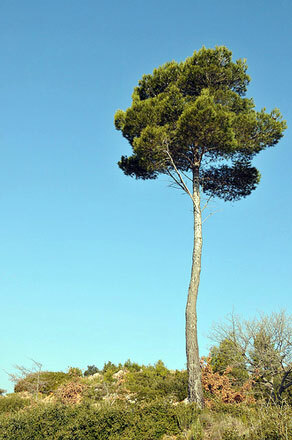 As a result of a careless campfire in 1989, some 50 sq km of hillside was deforested, and is still only slowly recovering. Since then, access is heavily restricted, if not banned altogether, in July-September. Also worth noting: the shooting season runs from 13 September-13 Jan. 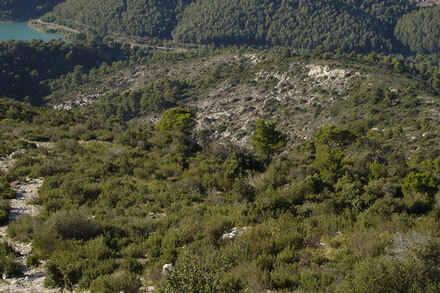 Hiking can still be done, but stick to the main paths at all times, and wear bright clothes. 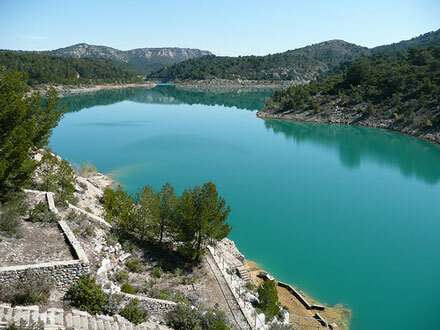 This area is popular, with over 700,000 visitors a year, so can be busy at high times.